The acceptance of online payments has led to a global business expansion. Customers can make purchases with outlets on opposite sides of the world within a few seconds. It is now just as easy as going to the corner store – if not easier. 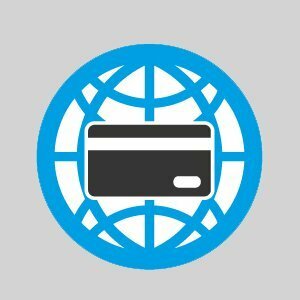 Credit cards are now the standard for global monetary exchanges and customers expect to be able to pay everywhere with credit or debit cards. By combining best in practice solutions for payment gateways, card present and non present, and mobile payments across all major brands, our customers get the most efficient pay flow design with high levels of automation. Our competitive costs and settlements in over 180 international currencies make us a unique international merchant processing partner for your business. A domestic merchant account is a one that a bank in the United States is providing the settlement services for the transactions. Domestic merchant account funding times are pretty quick (anywhere from 1-3 business days) and rates are relatively lower than offshore accounts. Offshore merchant account means that a foreign bank (outside of the United States) is responsible for settlements of transactions. Advantages of offshore accounts are the ability to accept payments in multiple currencies and increase your clientele base. As the interchange may vary between country to country and industry to industry, all offshore accounts have a monthly fee of $20 to $50 and a 6 months rolling reserve of 10% from processing.